Yes it is absolutely true - wine is just a beverage, and all you really need to imbibe is a screw top bottle and a glass (I am not against drinking straight out of the bottle, but I am trying to set a higher standard for all of you!). If you are stepping beyond just a screw top and a glass in the wine world, there are a set of tools that can help you get the most out of your wine, and perhaps impress your friends with your deft use of these tools (impressing friends is not our primary goal - but who doesn't like a few ooohs and aaahs???). 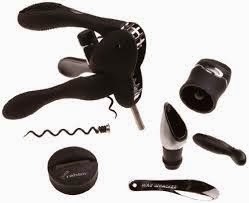 There are in fact thousands of wine related gadgets out there to buy - but the toolkit I am going to describe is what I feel the average aspiring wino will actually benefit from using. More is not always better, so finding the right gadgets that provide value in your wine endeavors is important. 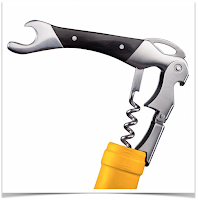 So - what's should be in the wino's toolkit? 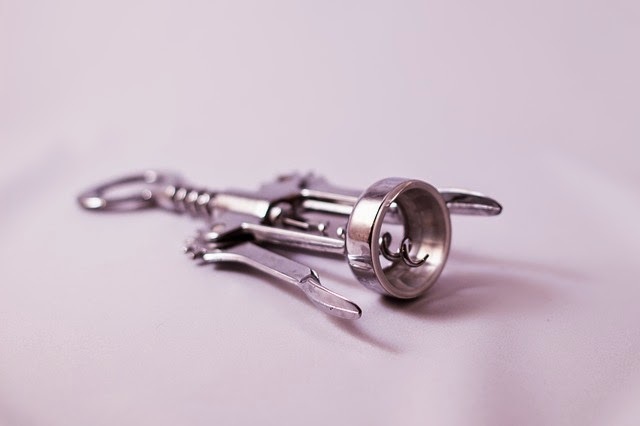 A Corkscrew with the Potential to Destroy! I do use the term "bad boy" on purpose. Be careful of these where the screw (or "worm") part looks more like a drill bit than a spiral that is consistently the same width. The more the screw looks like a drill bit the greater the danger that it will grind your cork to powder vs. extracting it. You'll see the types I describe below have a definite spiral with a nice sharp tip. 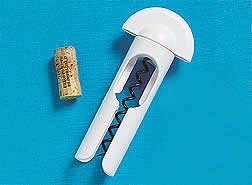 One of the most reliable corkscrews I know it made by Tupperware. It comes with a guide to help make sure the screw goes into the center of the cork, and is designed so the cork will come out by twisting only - no need to pull or tug on the cork. Besides being a great corkscrew, another thing I like about the Rabbit is that it comes in sets that include other great tools. Whether you get them in a kit or separate - they are great to have in the wino toolkit. Drip Stop Ring. Keeps it clean. Wine/Champagne Sealer. For any leftovers. Foil Cutter. Sometimes I think the stuff is made from titanium (or adamantium) - so a good cutter is a must! The Rabbit. This one in cool black and chrome. 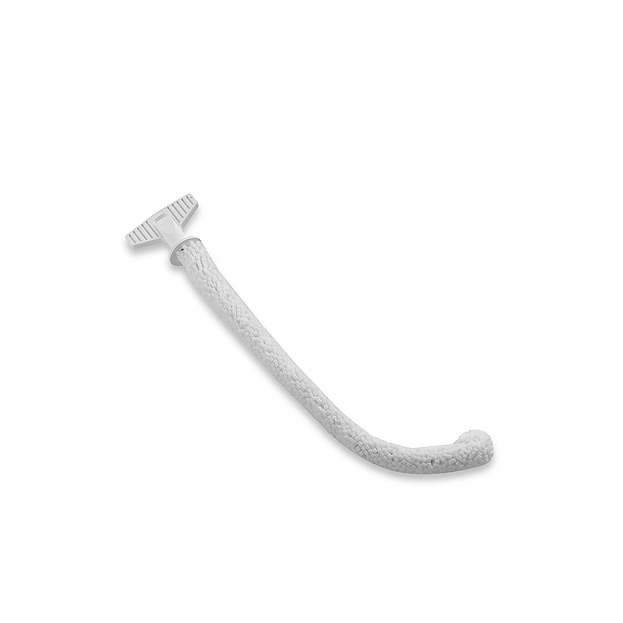 Wax Remover (the thing that looks like a little left handed spoon). My only trip to the emergency room (for me) in my life involved a wine bottle with wax (Chateau Potelle Too - Grenache) and the knife end of a waiter's friend corkscrew. No stitches, but my middle finger was in a split for two weeks! This tool - no sharp edges - nice! Extra screw or "worm". Doesn't hurt to have an extra. Now our bottle has been opened with an awesome corkscrew from our toolkit - it's time to pour. Another option to help avoid drips is a pour disk. This small metallic look plastic disks are rolled into a cylinder and placed in the bottle - and no more drips. Great because they fit any bottle, are easy to clean and very inexpensive. Many wineries have logo emblazoned versions of these that they give away - so pick some up when you see them. 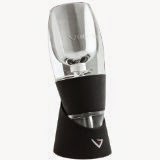 You can also use the Vinturi to aerate the wine as you pour it into another distinguished member of our toolkit - a decanter. The decanter will then help to further aerate. 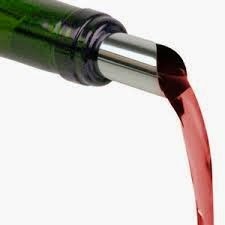 If you don't have a good amount of time to decant prior to serving, this method will fast forward the aeration process. 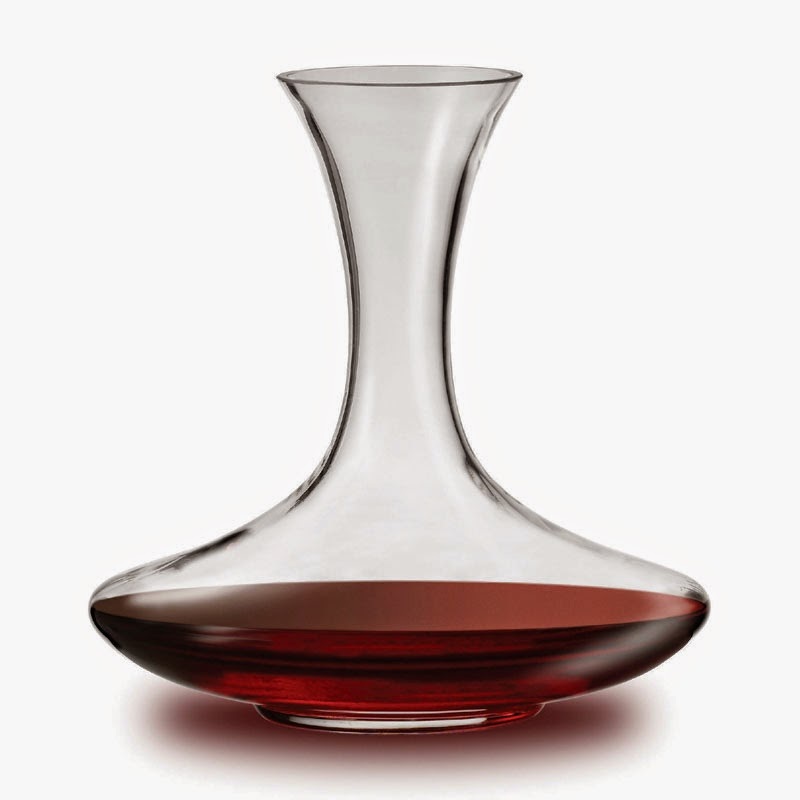 Decanters can be ridiculously expensive, but I recommend to just look for one that has good reviews and mentions being made of crystal glass. Mine cost me $34 from Amazon and I really like it. Another good tool to have for decanting is a funnel with a screen. Wines that say "unfiltered" on the label, or wines that have been aging for a bit might have some sediment that needs to be filtered out. I have the funnel/screen combo pictured below - also available on Amazon. Your decanter is a great tool to help you aerate (and perhaps filter) your wine. 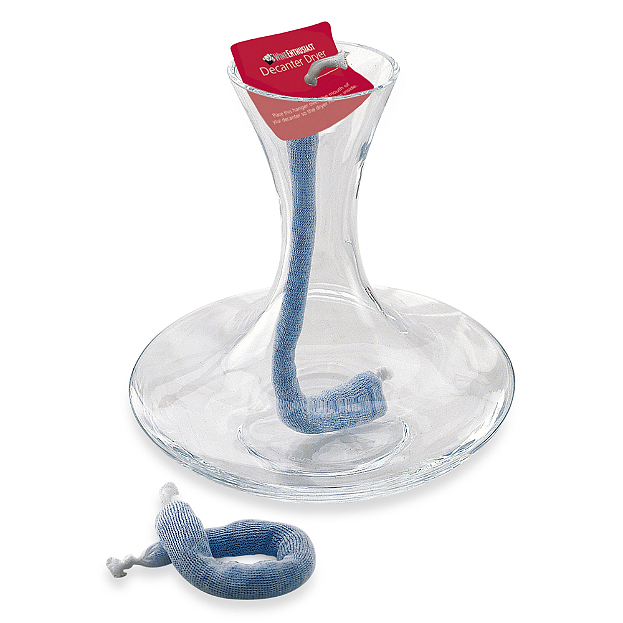 The design of many decanters is not conducive to cleaning and drying between uses. Here are some handy items to help out: a decanter brush and decanter dryer. Decanter cleaning brushes are long and bendable brushes so you can clean your decanter regardless of the shape. A good wine glass cleaning solution (see Batting Cleanup below) works very well to clean your Decanter. Once your decanter is nice and clean, you want to make sure you can dry it so that standing water doesn't leave water stains that doesn't look very good on your decanter - and too many mineral deposits may impact your wine. I use the gizmos pictured below. You put this dryer in the microwave to get rid of moisture - then place it in the decanter to absorb any remaining moisture. I like this because it works, and is compact vs. a wire rack to hold your decanter upside down while it dries. Wow - lots of tools and we haven't even taken a drink yet? What do we need next??? How about some wine glasses??? There is no critical need for different types of wine glasses, but reds, whites, and sparkling wines do benefit from being served in glasses with different characteristics. Wine glasses are available made specifically for different varietals - such as Cabernet Sauvignon, Merlot, Syrah, Zinfandel etc, and while I'd love to have a glass designed specifically for each variety - three different types of glasses are plenty for our wine toolkit. Red wine glasses can typically have a wider, deeper bowl. Red wines can benefit from lots of swirling, so a larger bowl allows plenty of room to get your proper swirl on. 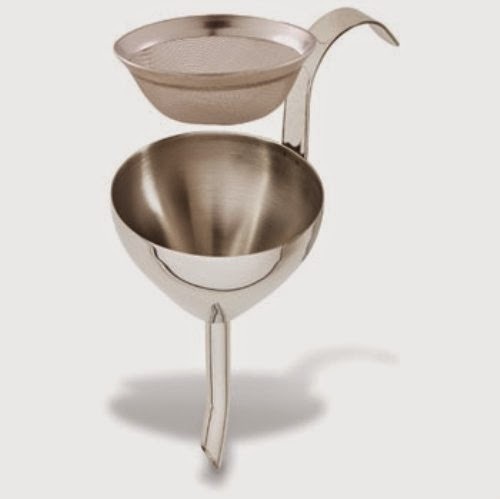 The wider bowl also exposes a good deal of surface area to the air to help release the wonderful aromas of your wine. If you are only going to have one type of wine glass - I recommend going with a larger glass to accommodate red wines. White wine glasses are usually smaller with a narrower design from bottom to top - often just a smaller version of the shape of a red wine glass. White wines are often served a bit colder than reds, so a smaller amount of wine in the glass allows you to enjoy the wine at the colder - from the bottle - temperature, and just refilling more often! Also, the smaller opening focuses the aromas, which are usually much more subtle and delicate than red wines. Sparkling white wine and champagne are served in tall, very thin glasses, often called champagne flutes (none of those wide mouthed champagne glasses you see in the movies!!!). The tall straight design is best for the bubbles to travel through the wine to the top, making the carbonation last longer and improving and focusing the aromas. Ahhh... the morning after the night before - and now it's time to clean up the evidence. Wine glasses will benefit from a cleaning solution specifically for them, versus other dishwashing liquids which are highly perfumed, and can leave a soap residue that may impact your wine. Along with a good cleaning solution - keep a brush dedicated to just cleaning wine glasses so no other flavors get imparted to your glasses from the buffalo chicken wings dish or whatever! In addition to cleaning your glasses - if you are like me (but NEVER my wife) - a drop or two of red vino may find its way to your clothing, carpet, towels, shoes, socks.... let's stop there. For this occasion - it is good to have a cleaner that works well on wine stains. Oxyclean is an example - but be careful, because some fabrics or dies (like Life is Good shirts) can be messed up by Oxyclean like cleaners. For other fabrics - it works very well on wine stains. When you get to the point that you want to keep a few bottles on hand, versus going shopping for each wine experience - I highly recommend a dedicated wine refrigerator. Your food refrigerator will typically be set way too cold for wine storage, and the vibrations created by that machine keeping your hot dogs and mustard cold can be very bad for wine if exposed for a long time. Wine refrigerators come in many sizes, and some have multiple zones to keep reds and whites at different temperatures. Years ago I purchased a Vinotemp from Costco that was made to hold about 140 bottles. Since I belong to a few wine clubs, I get wine that I need to store for a year or more before drinking, so the capacity works great for me. Once you have a few bottles on hand, you may want a way to keep track of what you have - plus a way to keep a few quick notes about bottles you've tried that you want to buy again, or just as importantly ones that you don't want to buy again. I keep track of my stash with Cellartracker. Cellar tracker is free (but does have a link for recommended payments if you like it and end up using it), and is a great tool to keep an inventory of the wine you have (they have a database with 1000s of wines), what you've consumed, and notes about what you liked and didn't like so much. Please keep in mind the specifics of your wine habits to determine what tools may or may not work for you. The ones I've listed here I find that I use on a consistent basis (i.e. didn't go into the garage sale when we moved last time). If you find yourself saying - "I wish I had one of those..." - make a note of it and consider adding it to create a toolkit unique to your wino needs!